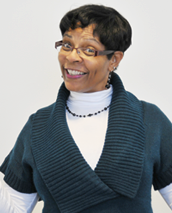 Kathy Hood Culmer is an author, storyteller, speaker and teacher. A graduate of Spelman College, the University of South Florida, and United Theological Seminary, Kathy holds a B.A. in English, an M.A. in English, and a D. Min. in Biblical Storytelling. She has taught on the secondary and college levels in a variety of subject areas ranging from English to Speech Communications, to Broadcast Journalism, to Religious Education. As a professional storyteller, she has been a teller and workshop presenter in churches, schools, libraries, at festivals, retreats, on college campuses, in business settings, and a variety of other venues. Kathy has performed at the Exchange Place at the National Storytelling Festival, Georgia State University, Duke University's Mary Lou Williams Center for Black Culture, the Texas Storytelling Festival, and was the Featured Storyteller at the Network of Biblical Storytellers 2008 Festival Gathering. She was a part of a 2008 Biblical Storytelling Mission Trip to The Gambia in West Africa. Her life's work is to provide words of encouragement, truth, and inspiration to others through telling, writing, and speaking. She is the editor of a collection of personal narratives called Yes, Jesus Loves Me: 31 Love Stories and is also author of "Big Wheel Cookies: Two For A Penny," published in The Rolling Stone and Other Read Aloud Stories and "Feasts a Plenty," published in Holiday Stories All Year Round. "I want to tell good stories and I want to tell them well. No, even better than that! Although I research and prepare for the best possible outcome, I have learned to tell stories with the least bit of anticipated outcome. The stories, if they are good stories, and if they are well told, reach people in ways that are beyond me to predict. Perhaps, that is part of the power of the experience. The story reaches inside and calls the hearer by name and says, 'This is what I have for you.'"